LMD transportation centers are advantageously located in close proximity to several major port and rail sightings throughout the US and abroad. Let us help service your transportation needs with our diverse fleet of trailers and chassis. Consolidating the transportation of your freight through one logistic company allows for greater visibility and efficiency. LMD can help manage your entire logistics operation through our vast network of worldwide partnerships. LMD has the capability to store a variety of commodities and products in our warehouses. From hazardous materials to food grade products we have the experience and knowledge to service your needs. LMD Integrated Logistics Services was established in 1983 with the vision to be the premier provider of logistics services for warehousing, distribution, and transportation for domestic and international companies. Now in our third decade of operation, LMD has continued its expansion throughout the US and abroad. We continue to challenge ourselves to not only meet the goals we put forth for ourselves, but to surpass and exceed them. LMD is dedicated to the development and advancement of our technological capabilities. We realize its importance for the success and growth of our company and the people we work for. The need for a reliable and dependable partner is essential in this industry. LMD understands the challenges and intricacies of this industry and our confident we can support every companies needs. We hope that you join us in these exciting times and we thank you for your support. 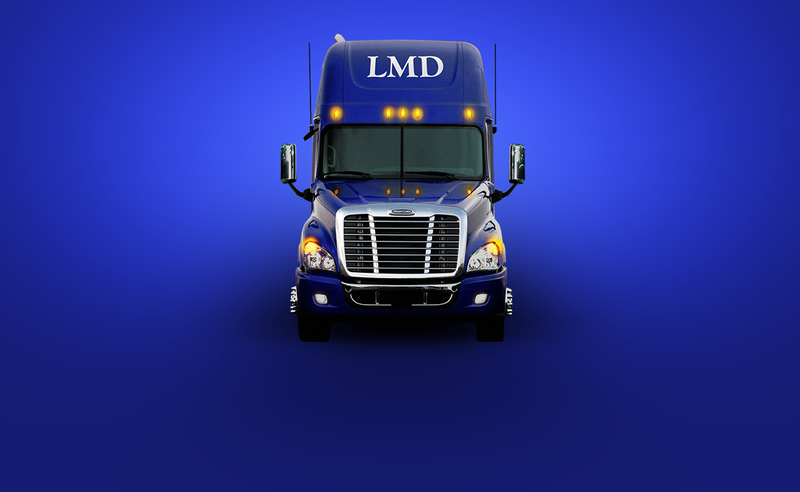 LMD is always searching for professional drivers to join our team. Please follow the link below to inquire about our current available positions Please feel free to send us your current resume and we’ll be sure to reach back out to you. If you’d like to inquire about LMD services and rates, please click on the link below. A representative will reach out to you promptly to review your request. Please see our services page to learn more about LMD capabilitites and how we can better help service your needs. heavy weight corridor in l.a.